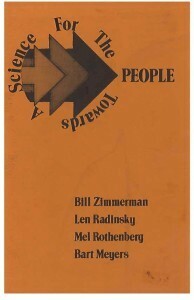 This first founding document was donated by Charlie Schwartz from his extensive archives. 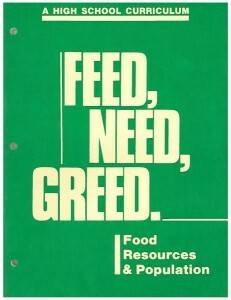 More details to be posted. 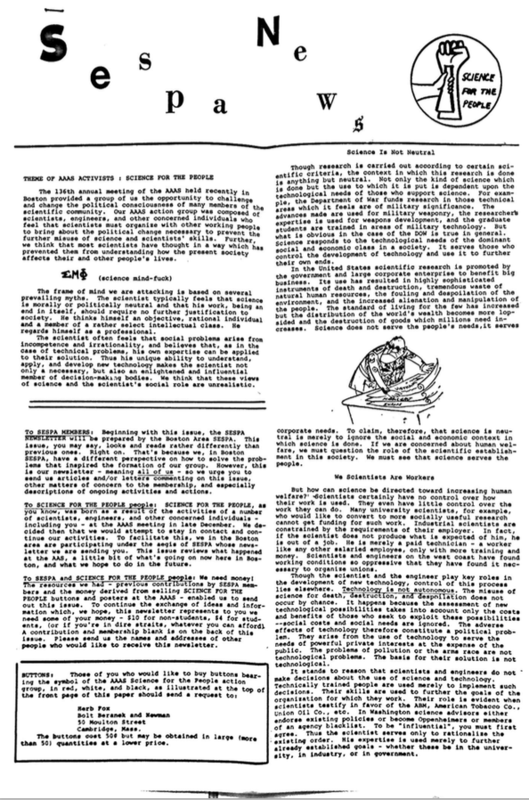 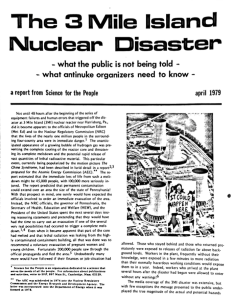 This 1969 issue of SESPA News is functionally the first newsletter of Science for the People, which until 1970 had been operating under the aegis of the existing group Scientists and Engineers for Social and Political Action (SESPA). 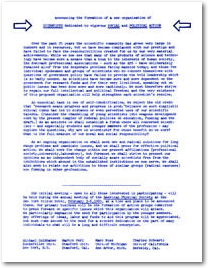 The newsletter describes SESPA and SftP’s protest activity at the 136th annual meeting of the AAAS, held in Boston. 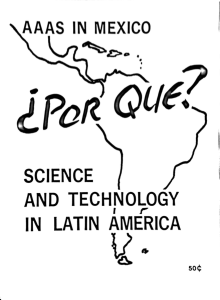 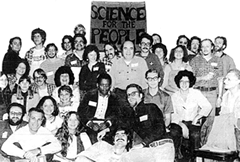 In February 1971, Science for the People submitted a paper to Science addressing the political and economic impact of scientific work in North America and outlining a program for integrating science and social change. 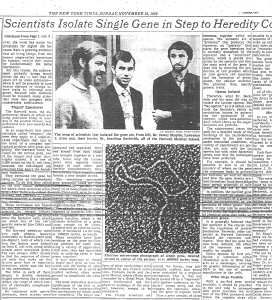 The article was rejected and returned, the group described, with “editorial comments that questioned our integrity, our intelligence, even our sanity[. 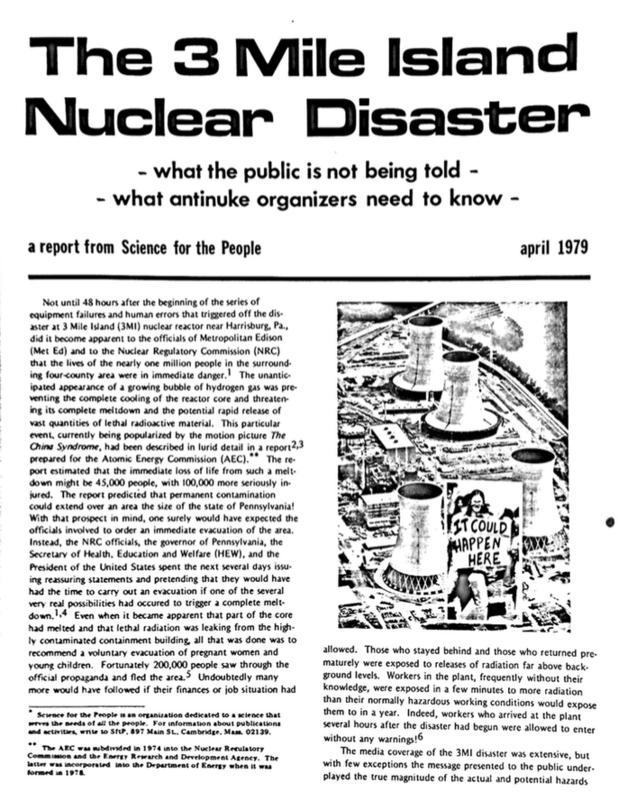 ]” Science for the People made drastic revisions to the draft and resubmitted in one final attempt to reach Science, but were rebuffed again. 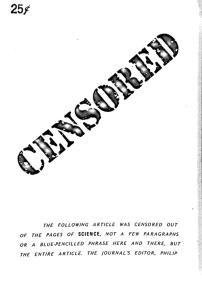 In “CENSORED,” the group prints the final version of this paper alongside reviewers’ comments, which were retrieved by a friendly inside source at the magazine. 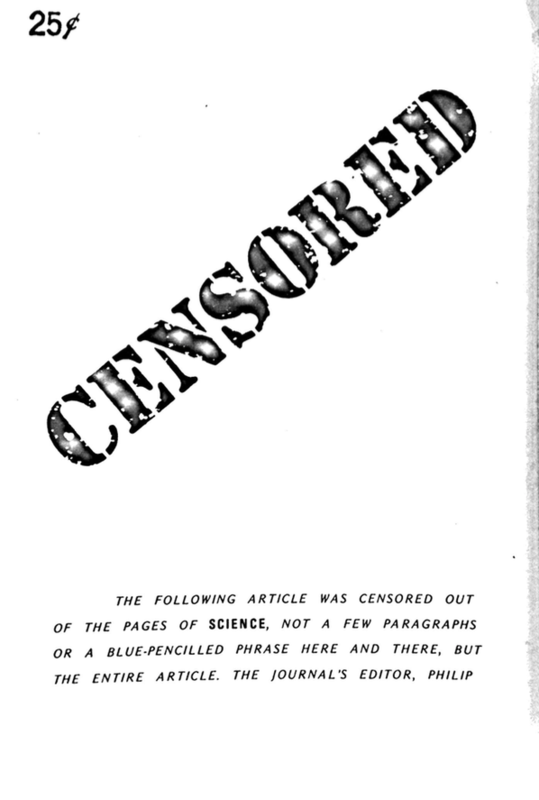 A second publication of the above document titled “Censored.” With an epilogue regarding the article’s distribution at AAAS and its censorship by Science magazine in 1971. 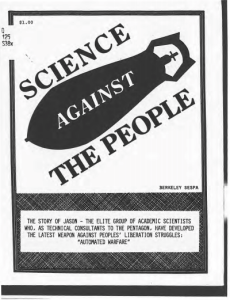 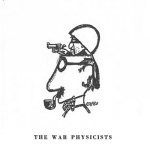 Documents about the European protest against physicists working for the American military through the JASON Division of the Institute for Defense Analysis (IDA) in 1972. 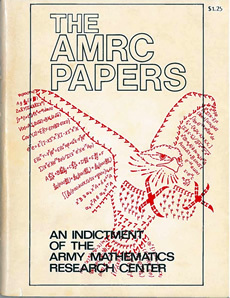 Edited by Bruno Vitale, of the Istituto di Piscia Teorica. 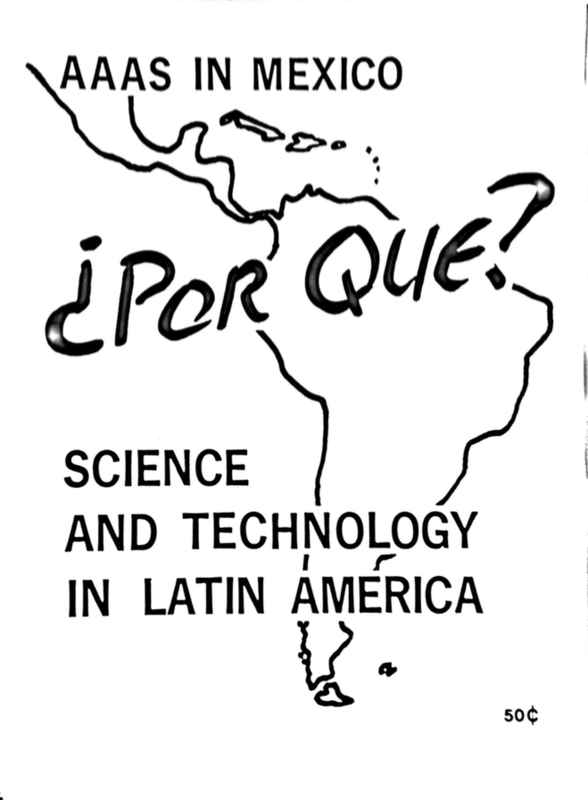 Published by the The Science Teaching Group of SftP in Boston, Nov 1973. 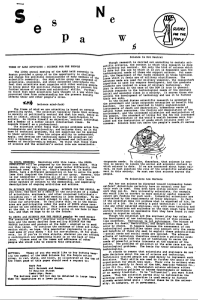 This issue (No. 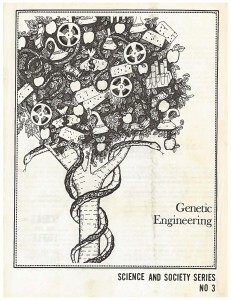 3) of the “Science and Society Series” covers the future of genetic technologies and eugenics. 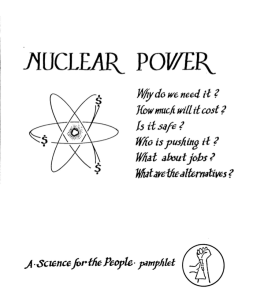 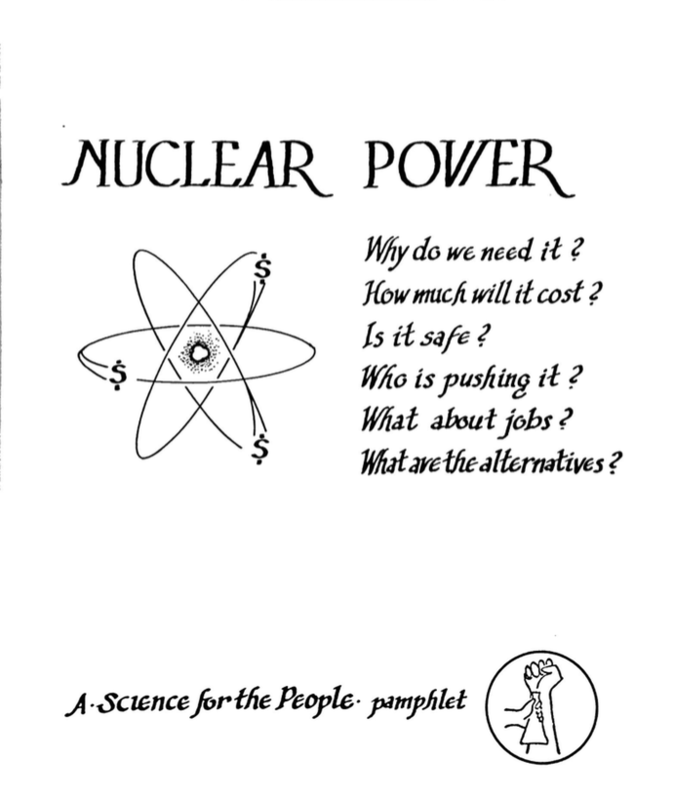 This SftP pamphlet, published in April 1979, investigates the Three Mile Island nuclear disaster and presents strategies to push forward the anti-nuclear movement in the wake of this tragedy and develop sustainable alternative fuel sources.